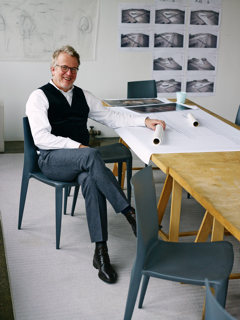 Architect, educator, and principal of Allied Works Architecture, Brad Cloepfil creates culturally resonant architectural designs that are forged by the defining elements of their mission and site. 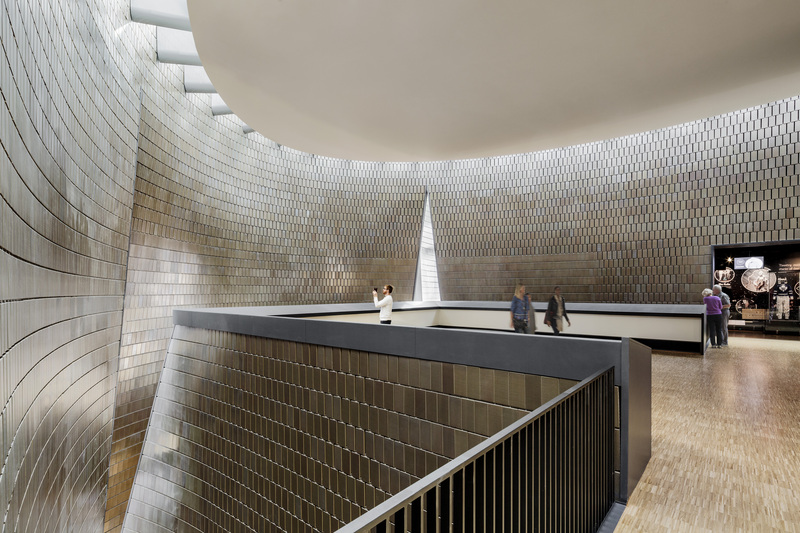 He has designed and realized a wide range of projects around the world, including civic and educational institutions, arts organizations and museums, and private residences. 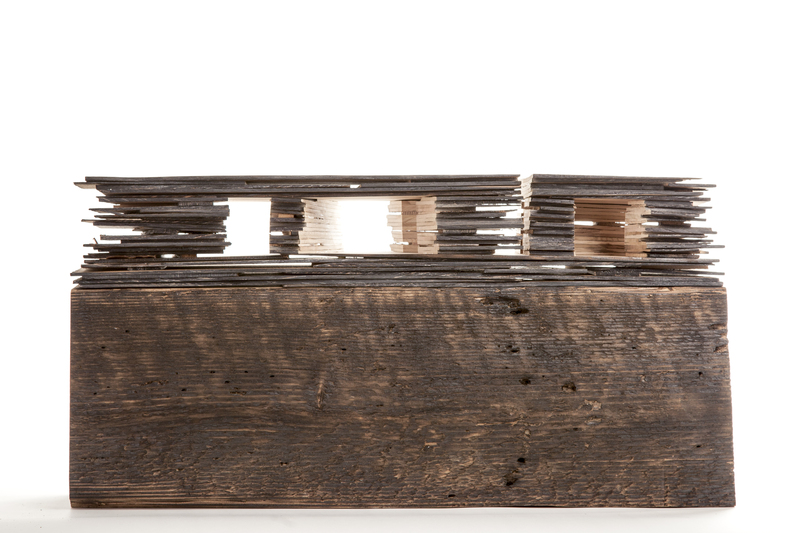 He has received particular acclaim for his work on creative and cultural projects and for crafting powerful spaces for art and interaction. 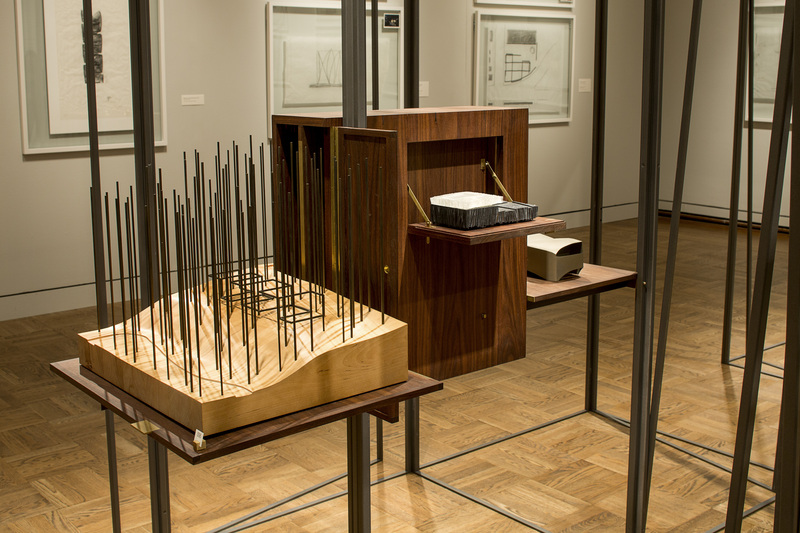 Cloepfil’s earliest influences lay outside the field of architecture—from the vast landscapes and monumental works of civil engineering in the Pacific Northwest, to the simple yet profoundly affecting gestures of land and installation artists. 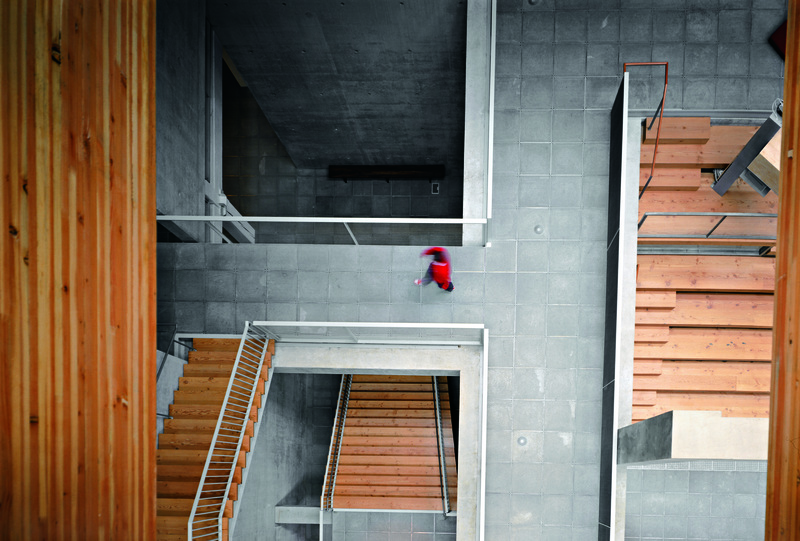 One of his earliest defining projects was the Maryhill Overlook, completed in 1998, the first in a series of site-specific interventions and installation designs in diverse landscapes across the Pacific Northwest. 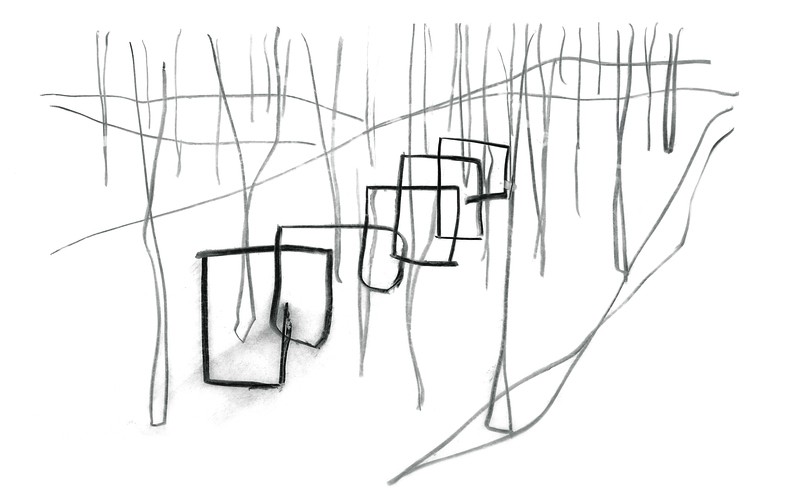 In the years since, his body of work has continued to be as informed by the history of place as it is by his formal training. 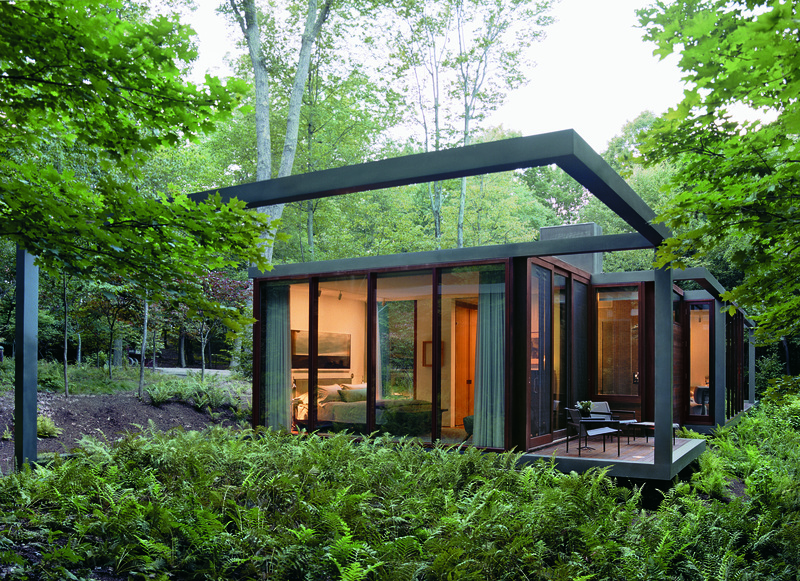 His approach to design combines a research-intensive focus on the specific character of each project with an understanding of the transformative possibilities of architecture. View Brad Cloepfil's full CV here. 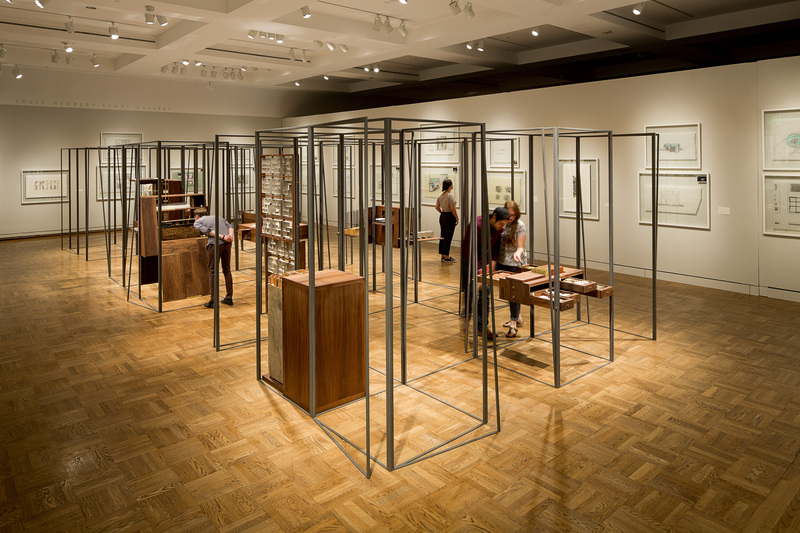 Case Work is a traveling exhibition that offers a view into Allied Works’ unique approach to design—a process driven by intensive material and physical investigation. 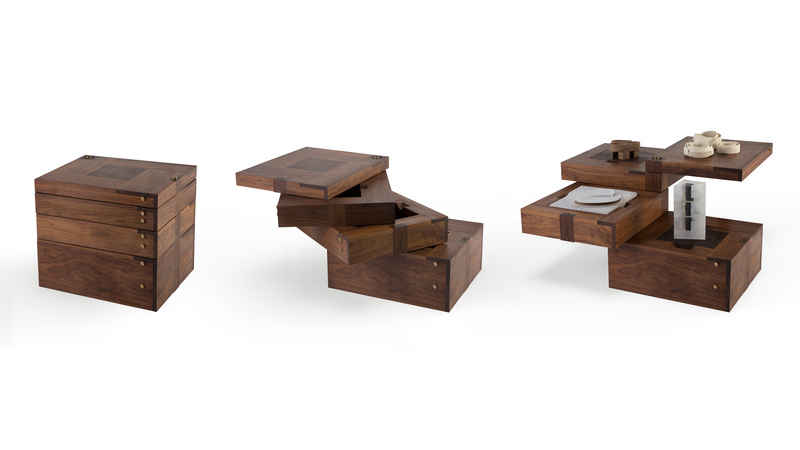 Each project begins with the creation of hand drawings and concept models. 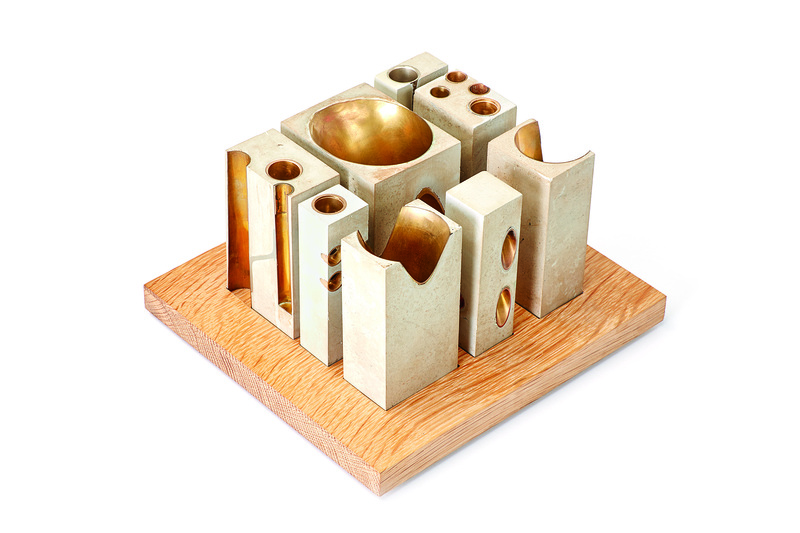 These artifacts distill the essence of each project, and explore the dialogue among material, technique and intention that lies at the heart of architectural practice.The exhibition presents a series of custom-built cases, which open up to reveal a collection of models, drawings, material samples and other studies that have provided inspiration. 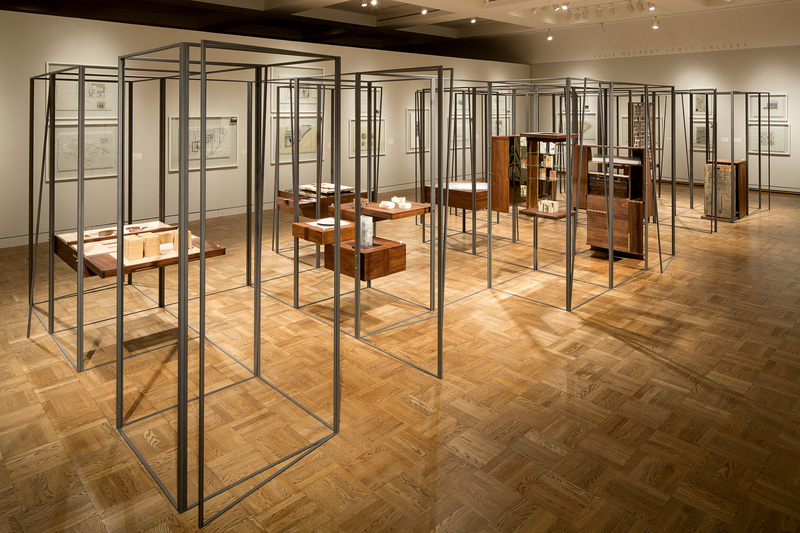 These cases are suspended within a modular steel frame that mediates the scale of the gallery, invites close and careful viewing, and offers opportunities for future expansion and reconfiguration. 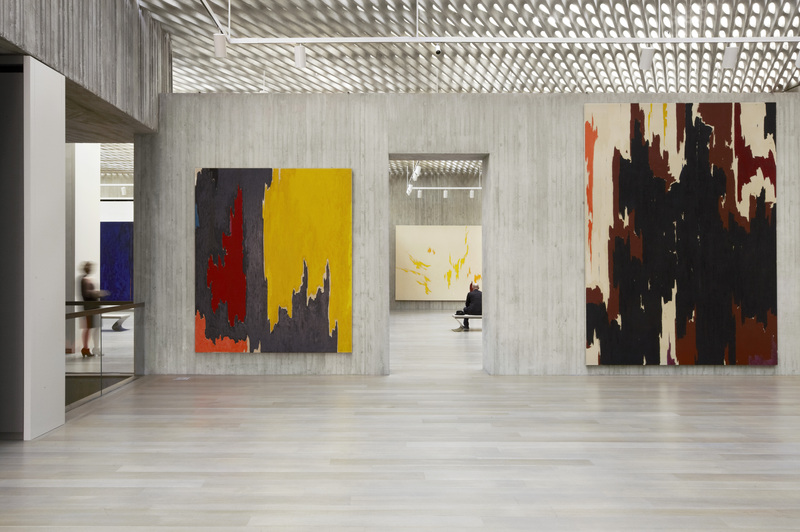 The Clyfford Still Museum is devoted to the life and work of one of the 20th century’s most influential and enigmatic painters. 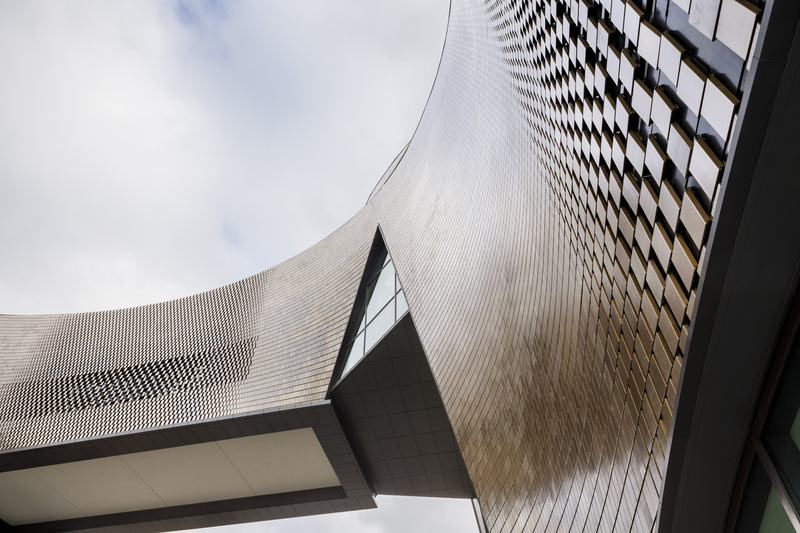 The museum resides in Denver’s Civic Center, a varied district of museums, libraries, archives and seats of government. 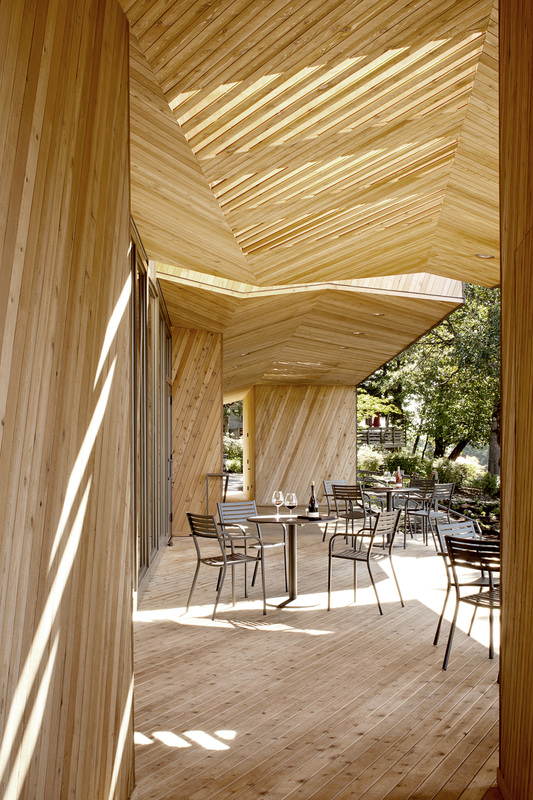 A new public forecourt mediates this setting with a dense grove of deciduous trees. 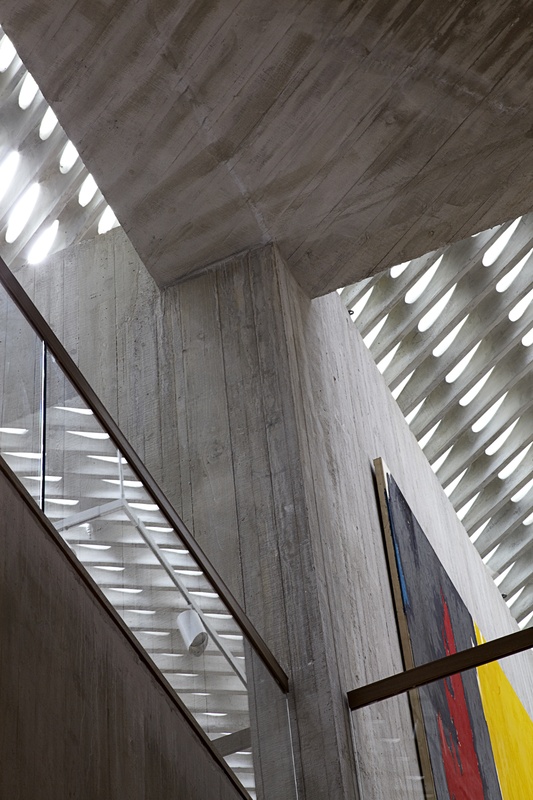 Formed by walls of textured concrete, the museum is a single body opened by light on all sides, an intimate place to encounter Still’s work. 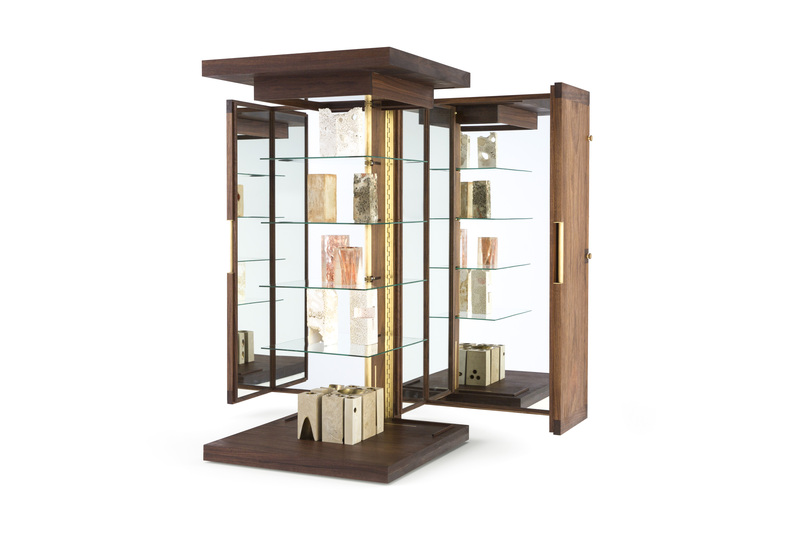 At ground level, visible storage and displays of personal effects offer a broader understanding of the artist and his unique creative vision. 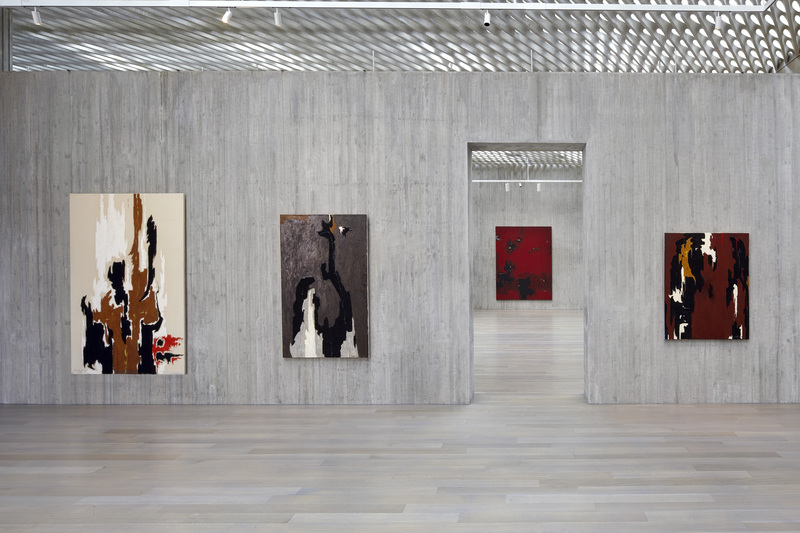 Above, nine interconnected galleries respond to the evolving character of Still’s art, changing scale and proportion, while varying the intensity of light to serve the collection. 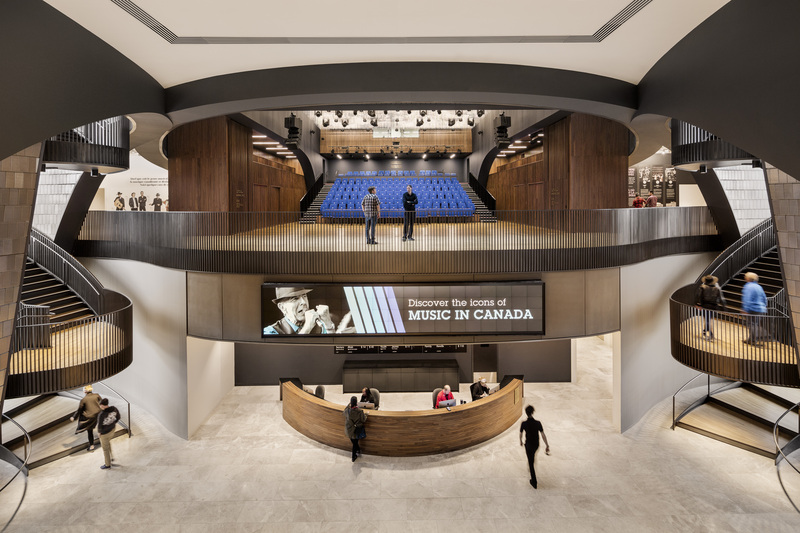 Located in the historic heart of Calgary, the National Music Centre is a new cultural institution dedicated to the music of Canada in all of its forms. 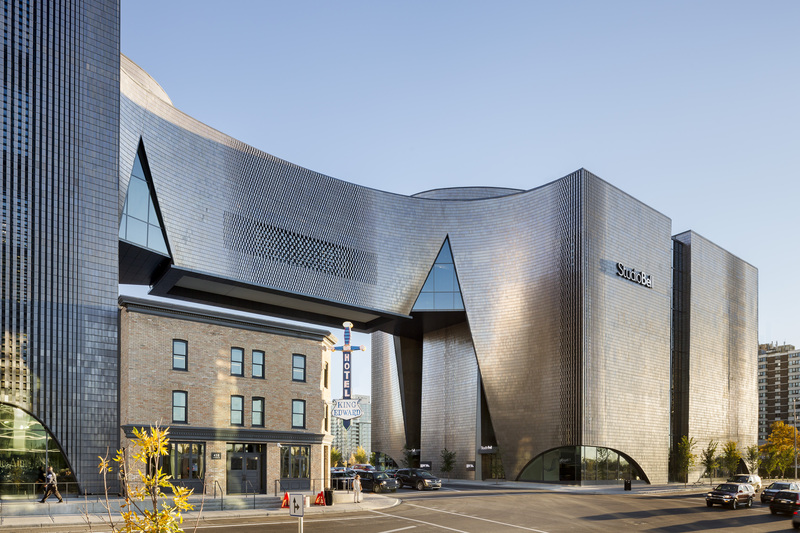 Along with the restored King Edward Hotel, site of Canada’s legendary music clubs, the NMC is equally a museum, performance hall, interactive education center, recording studio and broadcast center. 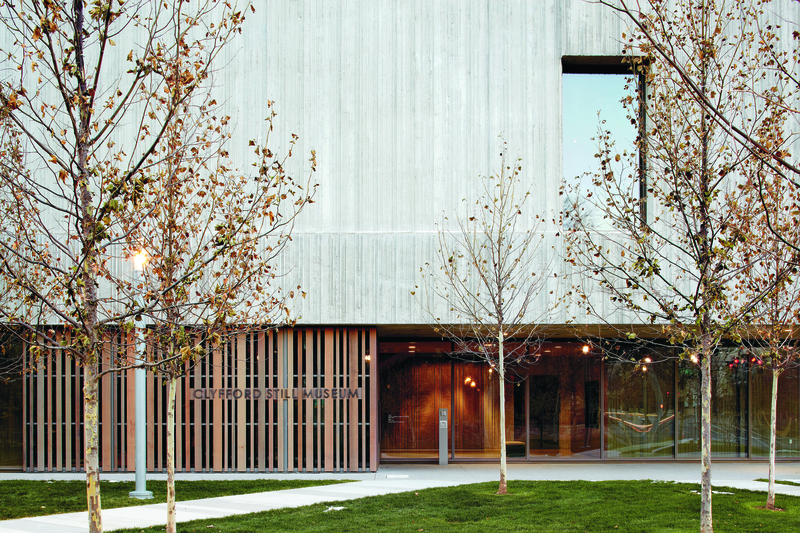 The building is organized as a series of nine interlocking towers that showcase the many diverse programs, collections and offerings of the Centre. 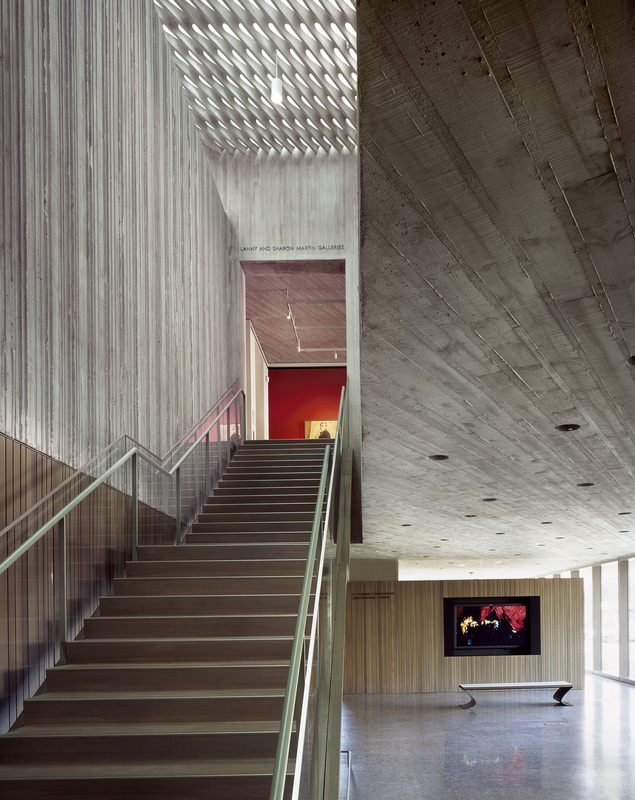 From the street, sound and light draws visitors up into the performance, education spaces and galleries above. 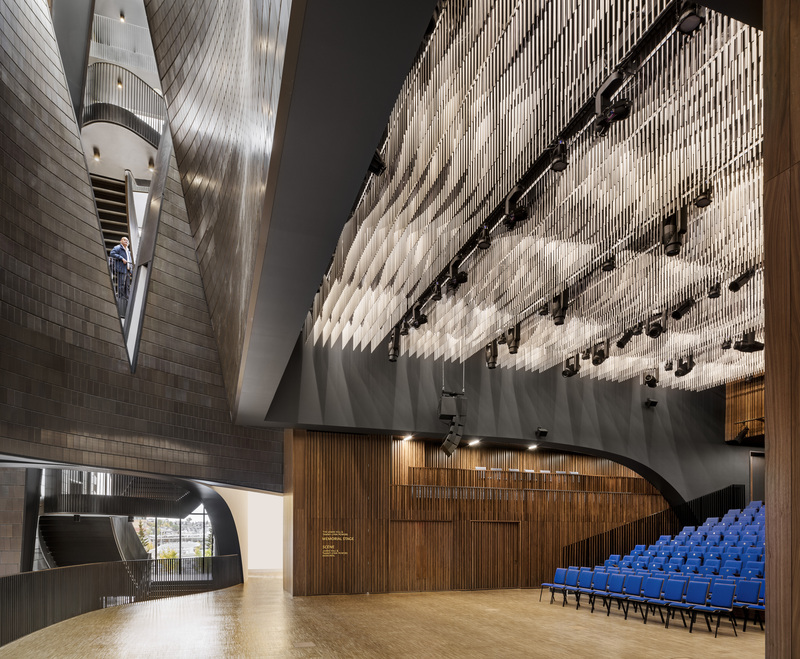 While the towers hold acoustically distinct volumes or “stages”, the spaces between are the connective tissue of the Centre, allowing visitors to experience a full spectrum of sound, light and activity. The Dutchess County Estate is a suite of buildings and landscapes completed for a prominent New York family on their 400-acres in the Hudson River Valley. 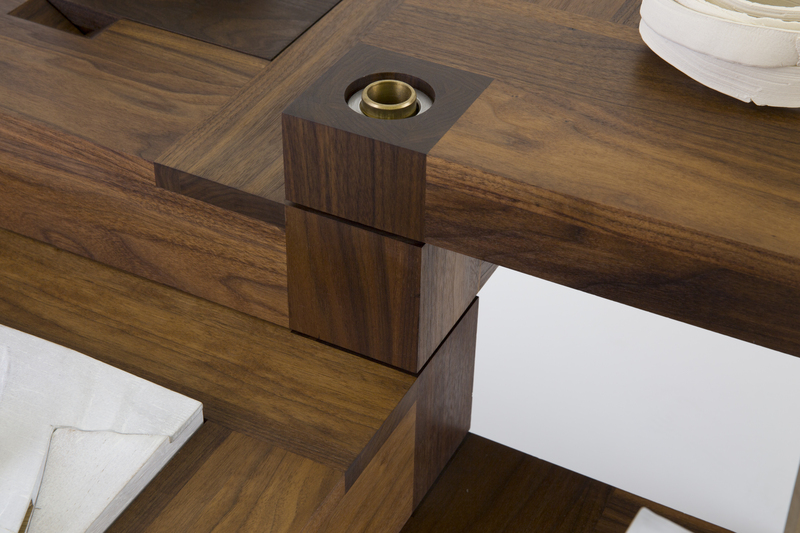 Each project was designed to explore, respond to and amplify the beauty of its surroundings and specific context. 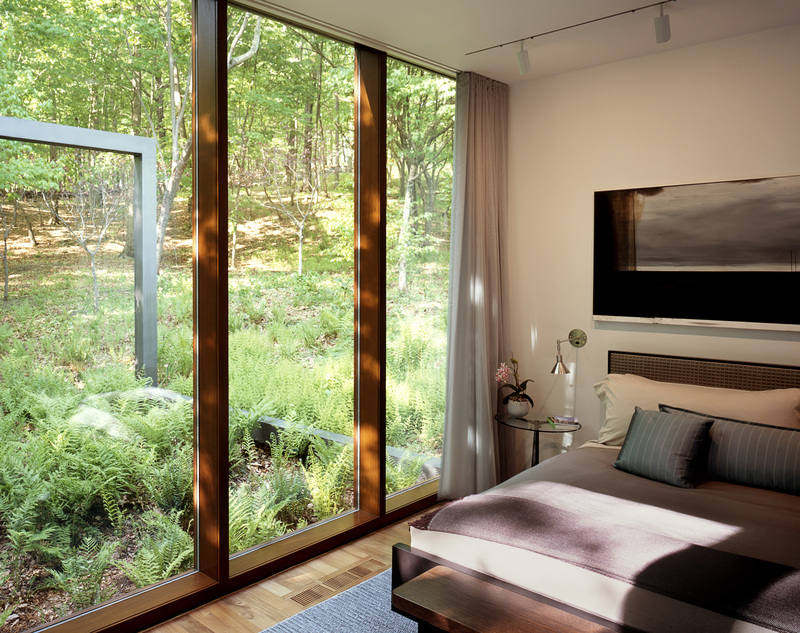 Balanced on the slopes above Ryder Creek, the house is located in a mature forest of oak, hickory, and birch. 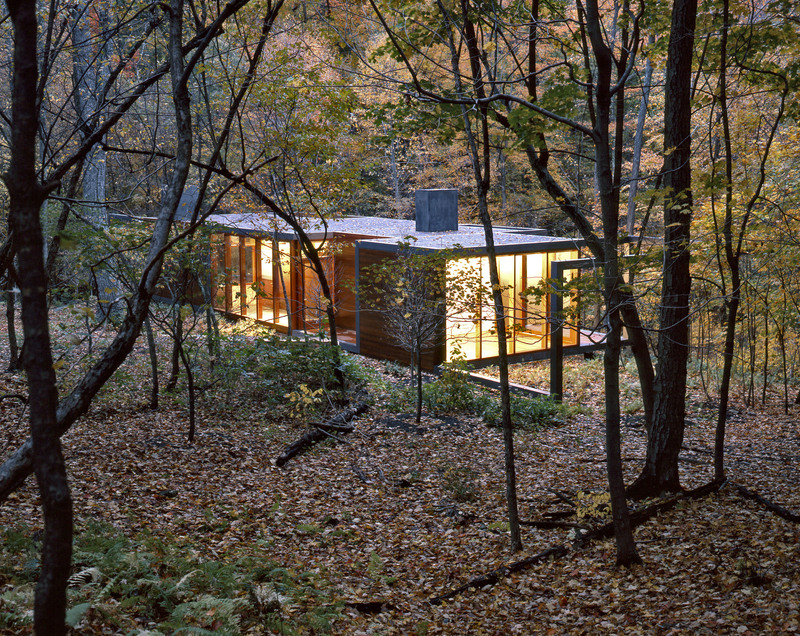 A continuous steel frame weaves through the woods and understory, blurring the boundaries between forest and dwelling. 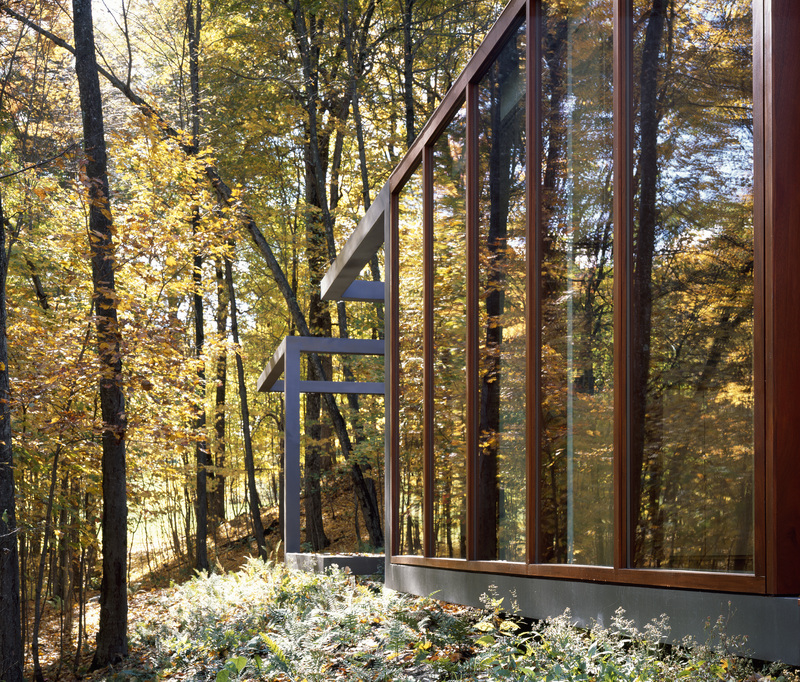 Panels of mahogany and floor-to-ceiling glass slip between, over, and through the frame as it meanders among the trees, leaving terraces and voids as spaces of transition and connection. 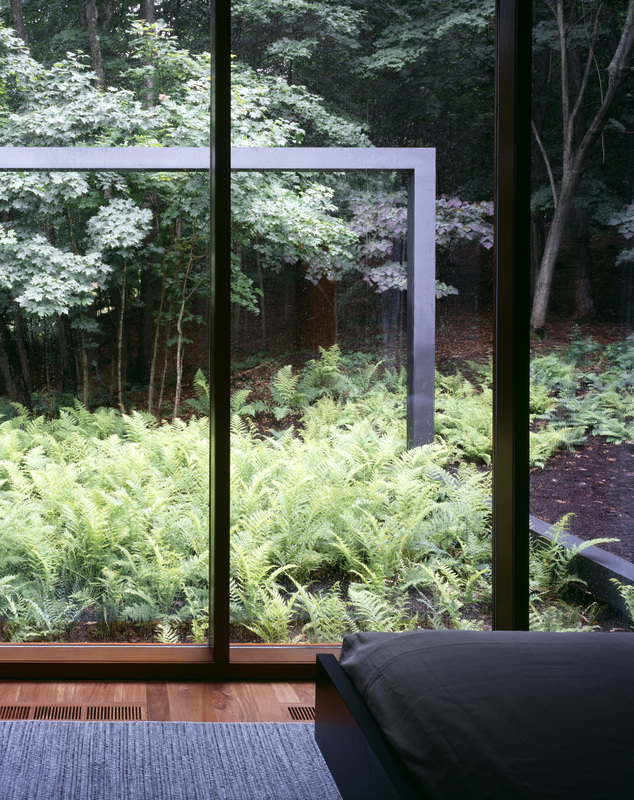 The house is a place to escape the pressures of the city, and a platform for experiencing nature and the dramatic change of seasons. 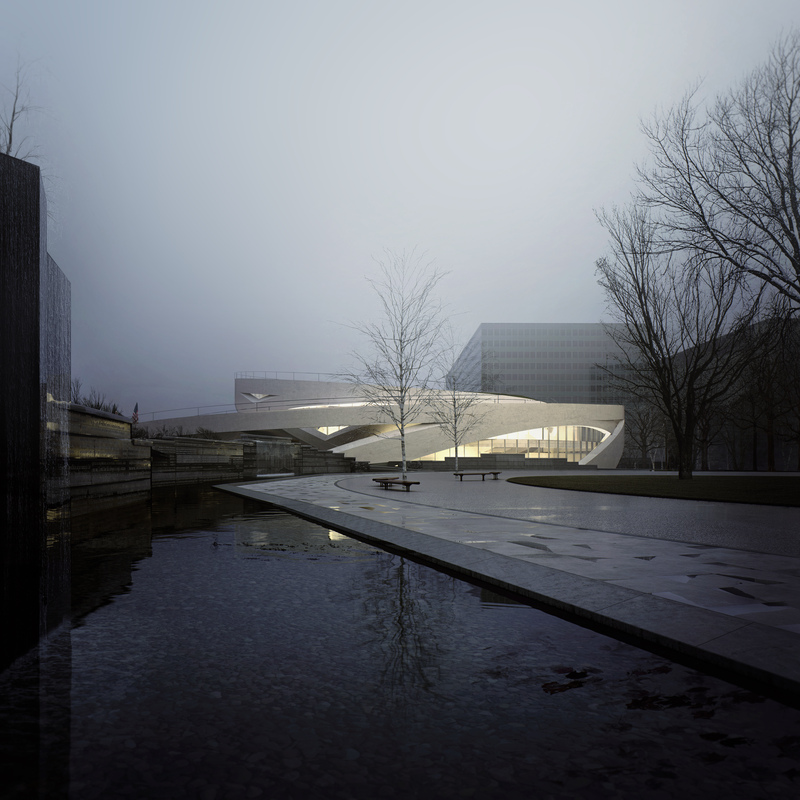 Currently under construction on in downtown Columbus, Ohio, the National Veterans Memorial and Museum will be a place of gathering and remembrance for veterans from all conflicts. 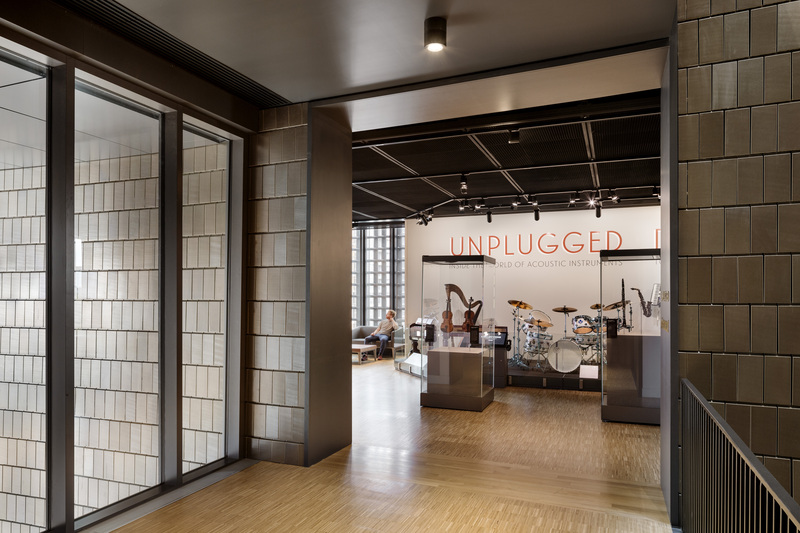 It offers the city an iconic civic space that tells stories of service—from Ohio and across the nation—through diverse artifacts, exhibits and installations. 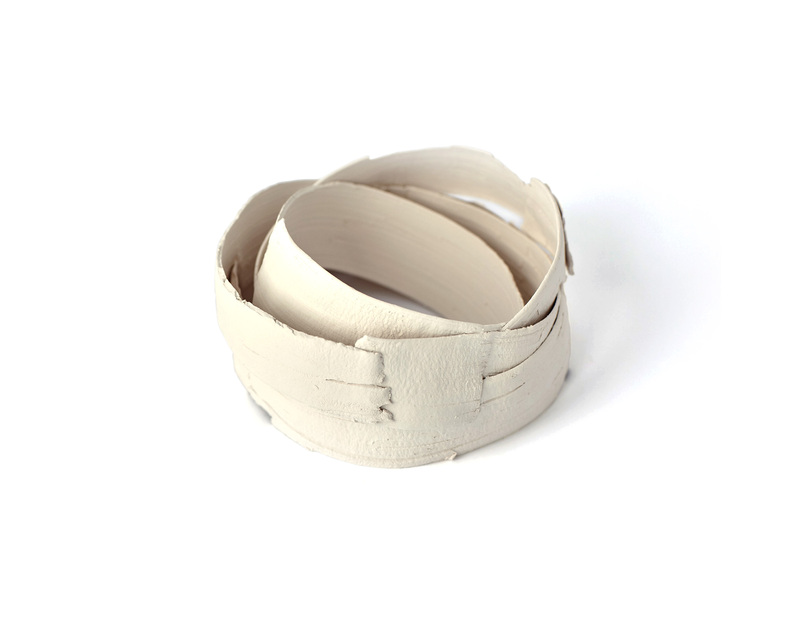 Intersecting bands of concrete, arranged in concentric rings, represent the branches of service that support and strengthen one another. Within, interactive exhibitions convey the experience of historic events and offer a glimpse of military service around the world. 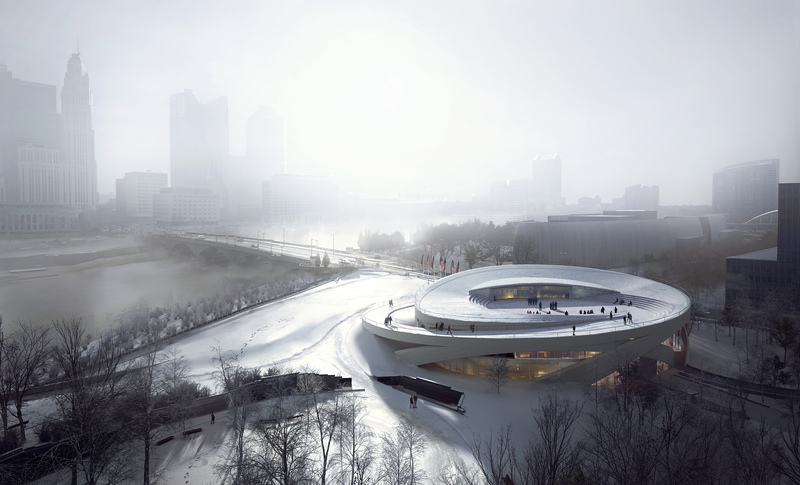 On the building’s perimeter, open, light-filled spaces allow visitors to examine artifacts and exhibits along the bend of the river. 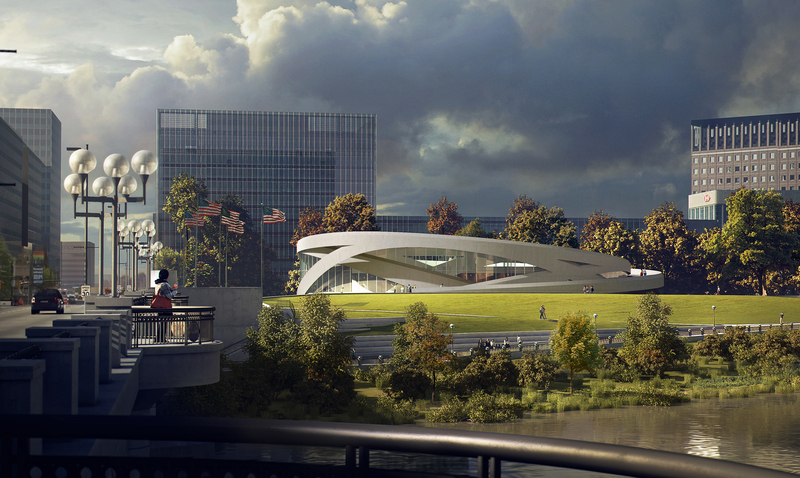 The Memorial and Museum honors its mission by creating an enduring and inspiring center of learning and commemoration for veterans, the city, and the nation. 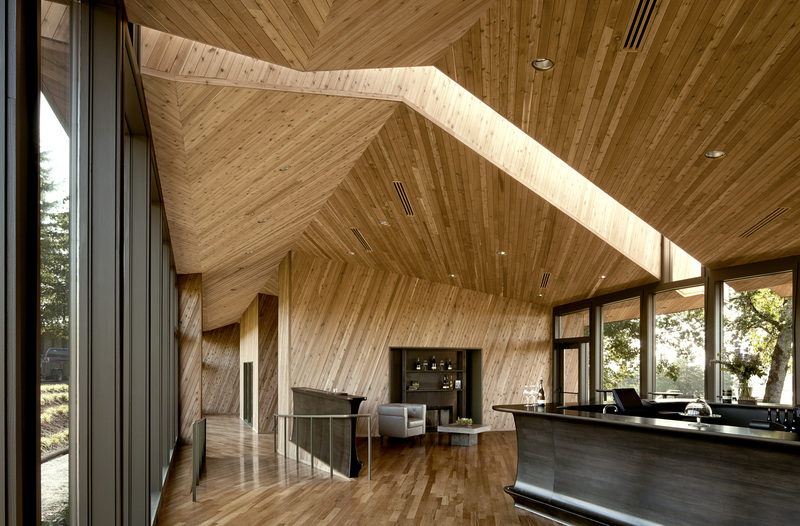 In 2012, the Sokol Blosser family commissioned Allied Works to design a new tasting room and event space that would be the showpiece of their 100-acre estate. 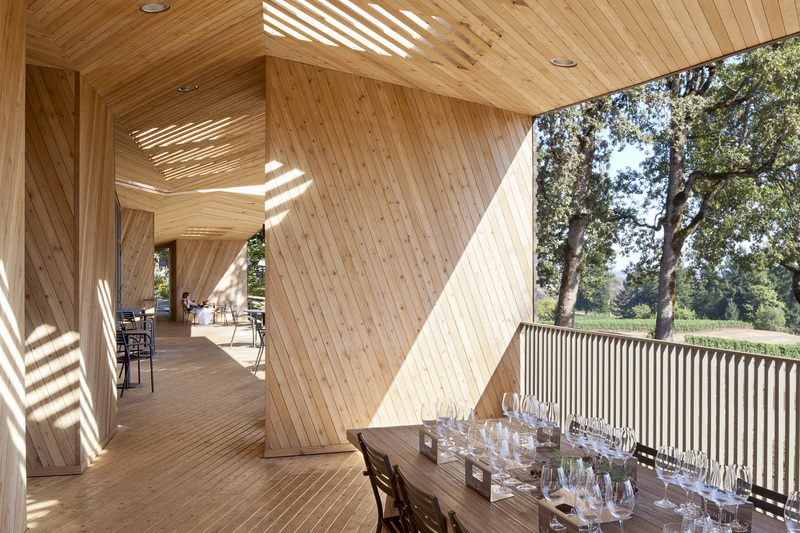 The new building provides a range of spaces for entertaining and viewing the surrounding vineyards. 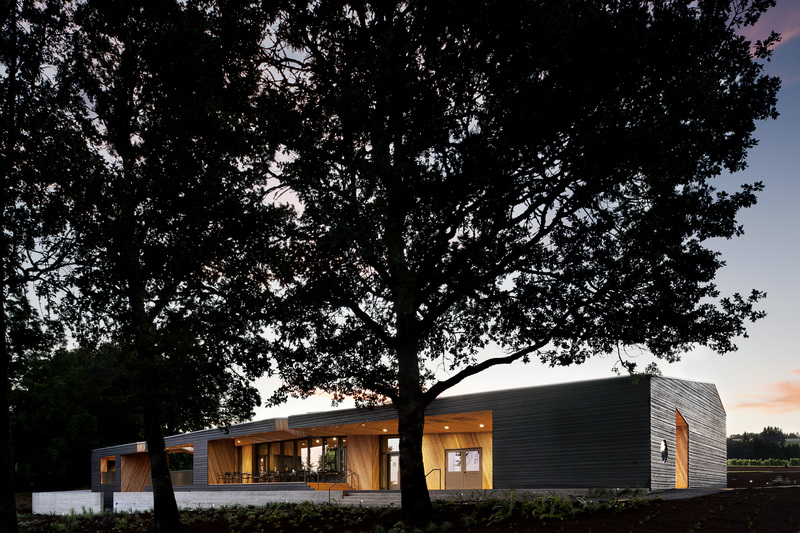 The building spans gracefully between the existing winery and a mature grove of oak trees, and is flanked by terraces that form gardens, parking areas, and outdoor event spaces that are woven into the landscape. 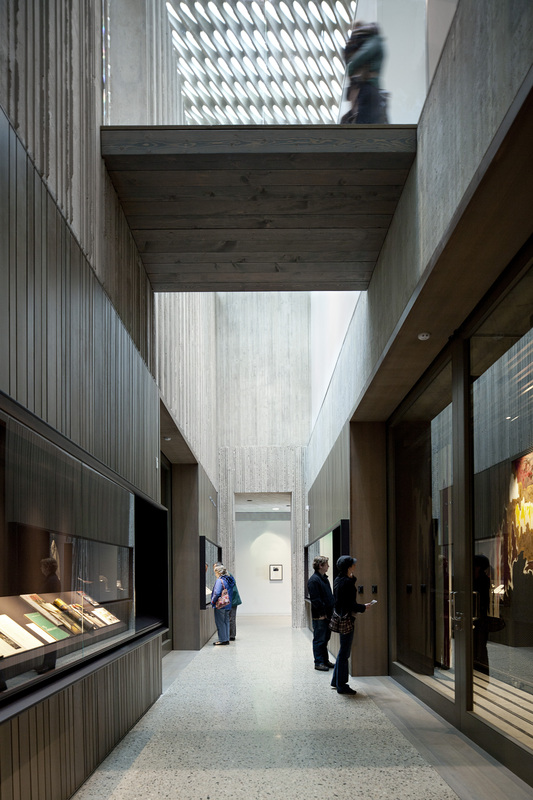 A main bar and tasting room occupies the heart of the scheme; a paneled library and test kitchen offer varied scales and spatial qualities. 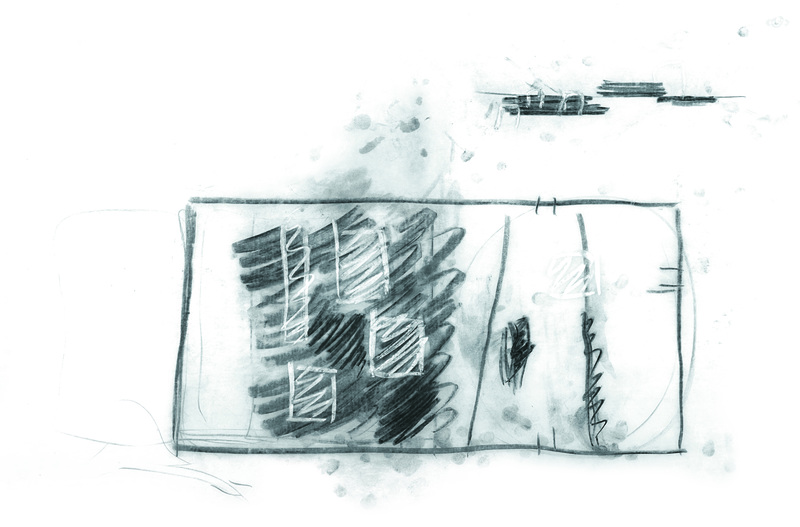 Below, a new cellar and secluded garden are embedded in the earth, providing space for private tastings and wine storage. 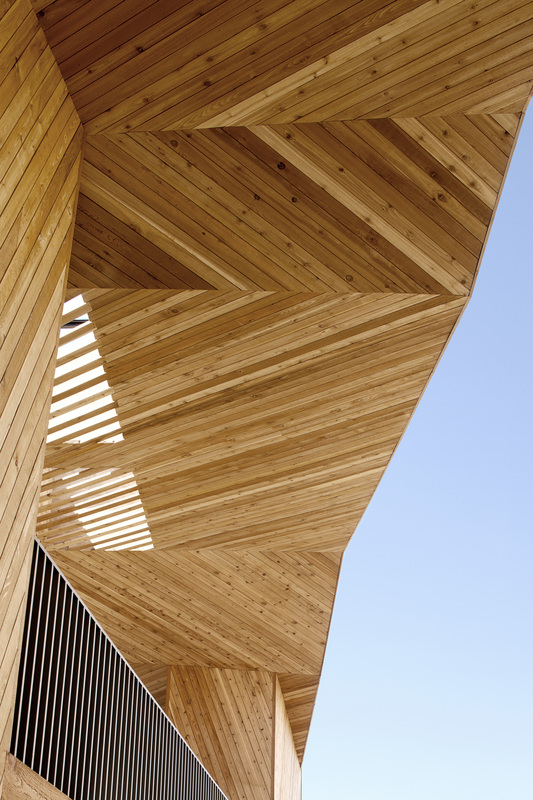 Inside and out, the building is clad in striated cedar that presents a new, organic architectural form derived from the vineyard rows and vernacular wood agricultural buildings of the region. 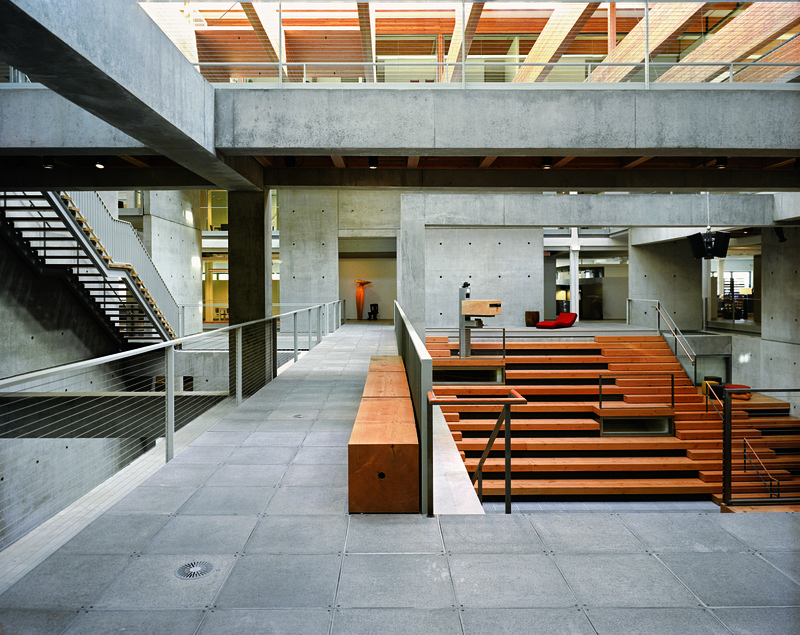 The Wieden+Kennedy World Headquarters is currently home to over 600 designers and support staff for the world’s largest independent advertising agency, as well as non-profit arts organizations including the Caldera Foundation. 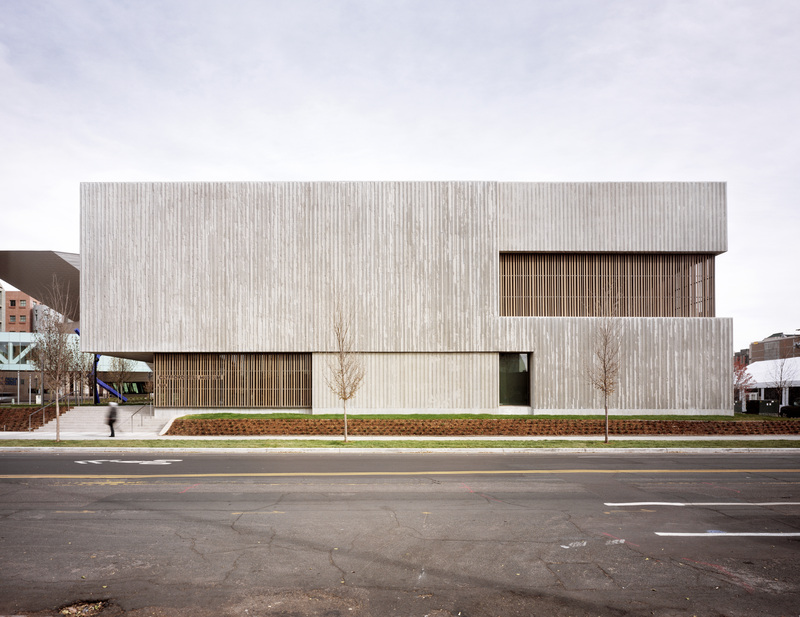 The project took a derelict, turn-of-the century warehouse building and transformed it into a new center for culture and creative industry in Portland’s Pearl District. The warehouse was opened to the street with a new mixed-use base of shops and restaurants. 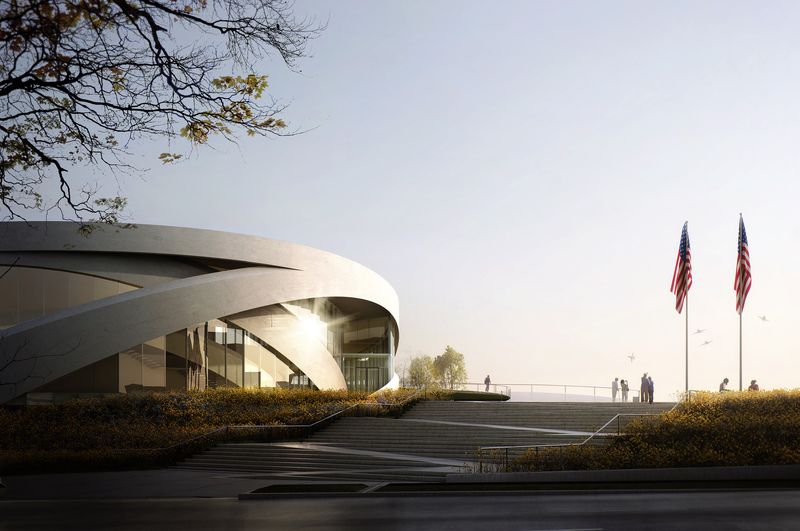 Within, workspaces are organized into mini-agencies that occupy the building perimeter. 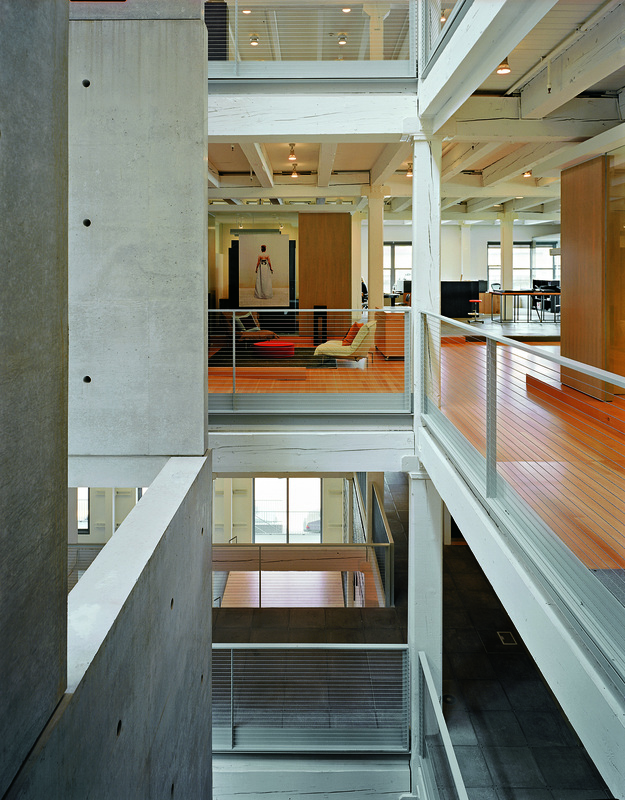 A new five-story atrium composed of concrete and timber rises in the center of the warehouse, uniting the many levels into a cohesive whole. 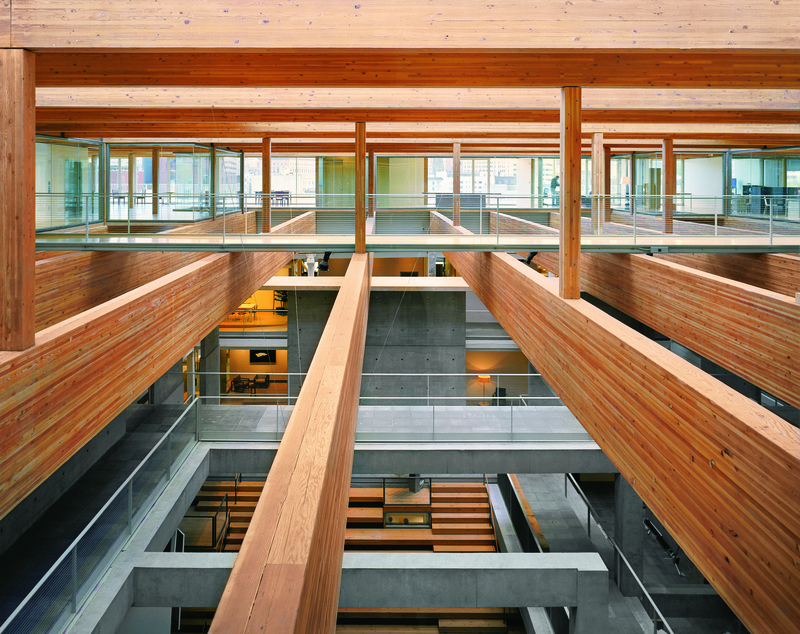 By day, physical and visual connections across the atrium promote interaction among the divisions and disciplines within the agency. 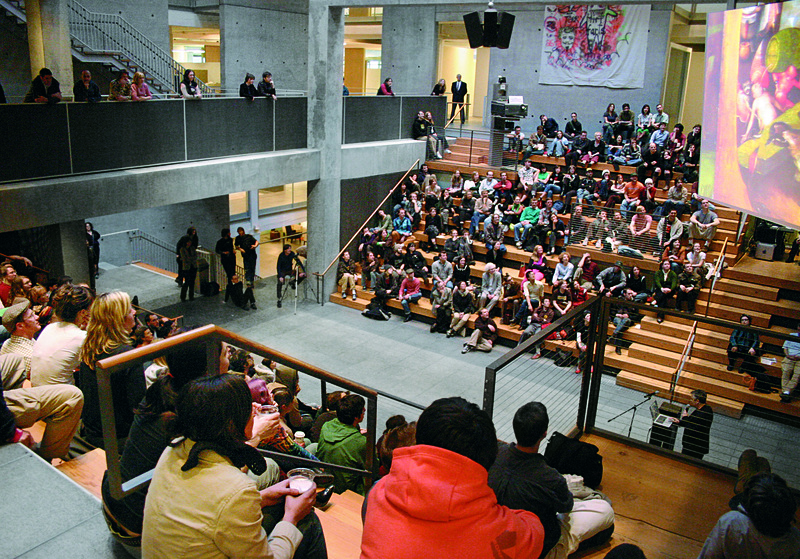 By night, the auditorium operates as a dynamic civic space for gathering, performance, and exhibition.